Halloween is just around the corner and considering I have yet to decided on the kid&apos;s costumes, I am less than prepared. While I love all things fall – cool air, pumpkins on & in everything, food galore – it also comes with a fair amount of stress. From finding the perfect costume to deciding where to take the kids trick-or-treating, it can get overwhelming when you remind yourself this is only the beginning of what is usually the busiest time of year. To help reclaim our sanity (and let you keep yours), we&apos;ve put together a quick list of where to take the kids trick-or-treating in and around Beaumont this Halloween. This list includes a sampling of FREE events, church festivals and neighborhoods that are all ideal for trick-or-treating. Remember to check with your local churches and schools for Halloween fun as well. Please note events marked with an asterisk (*) take place prior to Halloween day. Feel free to comment below with details on locations we may have left out. Stay safe y’all! Gladys City gets spooky for Halloween (a couple days before, actually)! Spindletop/Gladys City, on the Lamar University campus, will host Spindletop Spookfest with trick-or-treating throughout the boomtown and fun activities for “ghouls” and “goblins” of all ages. An absolutely free event that every member of your family will enjoy. Free food and drinks plus: MegaTronix Mobile Media, Archery Tag, Knocker Balls, Video Game Truck, Sub Zero Nitrogen Ice Cream, Trunk or Treat, Cake Walk, Inflatables, Come celebrate Halloween with us this year! Brentwood will host a fun & safe Trunk or Treat Halloween event on Wednesday, October 31st. This event is open to the public, free to attend & it will include games, contests with prize giveaways, bounce houses, hay rides, free snow cones, trick or treating & much more. It will be fun for kids of all ages so don&apos;t miss it. If you’re looking for a great way to spread the Halloween fun and let the kids enjoy trick-or-treating, make a stop by Clairmont Nursing Home for their community trunk-or-treat. The residents will be helping pass out candy and enjoy seeing the kids in costume! Join the families of St. Anthony Cathedral Basilica & School for a trunk-or-treat in downtown Beaumont. Along with plenty of candy for trick-or-treaters, the church will also have nachos, popcorn, hot dogs, links, chips, and drinks available for sale, which supports the youth group. Beaumont is full of walkable neighborhoods that offer easy, safe trick-or-treating for children on Halloween. To help make it a little easier to get around, we’ve broken these into areas near well-known roads. The majority of these neighborhoods offer well-lit streets and sidewalks that lead kids directly to front doors, although most do not offer sidewalks from house-to-house. Off Calder: Just off I-10 between Harrison & Calder, you’ll find Calder Place. This older neighborhood (between 19th & 23rd Streets) has quaint homes well-decorated for Halloween. Nearby Ridgeland Street, East & West Circuit and Manor Ave all offer great trick-or-treating opportunities with sidewalks from house-to-house. It’s also just a short drive from Thomas Road, with a few houses showcasing some pretty stellar Halloween decorations, including one with a graveyard covering the entire front yard. Off Delaware: On both sides of Delaware, are plenty of well-established neighborhoods including: Ashton, Montclaire and Delaware Place. Nearby, Bellechase Street and Edson also lead into densely populated neighborhoods. We also recommend many of the neighborhoods off Phelan and Gladys. Off Walden: South of Hwy 90 along Walden Road, are several great neighborhoods for trick-or-treating. A few of these include: Walden Meadows, Willow Bend and Willow Creek (main entry off Major Drive, near Brentwood Country Club). 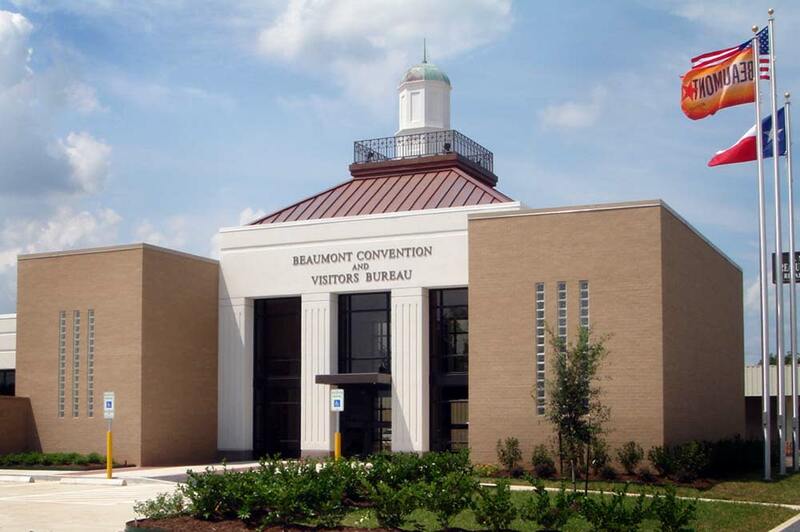 Off Hwy 105: For those on the outskirts of Beaumont closer to Lumberton, Hwy 105 offers highly populated neighborhoods as well including Bevel Oaks and Northwest Forest. Note: The First Baptist Church of Bevel Oaks is also hosting a trunk-or-treat from 6 pm to 8 pm. If you’re worried about rain, grab the kids and head to Central Mall in Port Arthur. All little pirates and princesses (and their friends) can enjoy mall-wide trick-or-treating without the hassle of cars & sidewalks. The Port Arthur Police Dept. Blue Santa Program and local sponsors would like to invite our community to the annual Halloween Trunk or Treat. This is a great opportunity for our kids to show off their costume! Join us for a fun family-oriented event. See you there. For those in Port Arthur, bring the kids to the Westside Neighborhood Association Fall Festival. The event includes entertainment, giveaways candy and more. Note: If it rains, the event will be held nearby at Sacred Heart Catholic Church (located at 920 Washington Ave, in the gym). Enjoy trick-or-treating with the kids down historic Boston Avenue in Nederland. Local businesses and residents will be set up with their trunks facing Boston Avenue (from 1st to 5th Streets, near the Dutch Windmill Museum) and will be handing out candy for trick-or-treaters. First UMC invites families to a safe alternative to Trick or Treating with have games, contests, and food. Put on by Hillcrest Baptist Church, this free fall festival is an ideal spot for safe, Halloween fun. 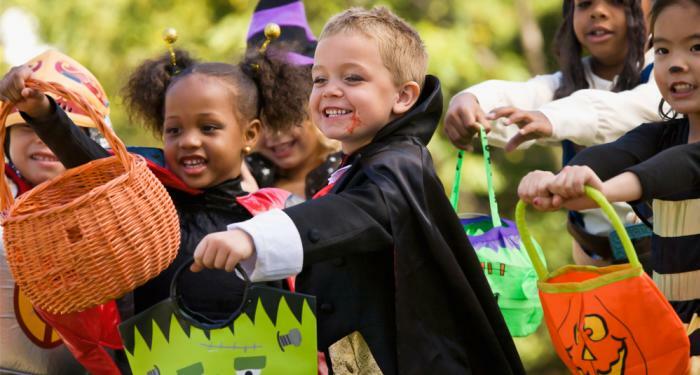 After getting the perfect costume together, load the kids up and bring them out to enjoy candy, food, games and plenty of other fun for the kiddos. Join the Seventh Street Baptist Church for pony rides, games, a petting zoo, moon walk and even an appearance from Gator Country! Cotton candy, popcorn, links and drinks, door prizes and more can be expected at this annual block party. Now in its 14th year, the Tailgate Trick-or-Treat Festival is put on by Holy Cross Lutheran Church in Nederland. This event includes free popcorn, bottled water and, of course – candy! The festival is held inside the Family Life Center, rain or shine. Each year, the staff and families of St. Mary Catholic School put on a Halloween carnival for their students. The best part – besides the candy – it’s open to the public. Stop by and let the kids enjoy trick-or-treating, a cake walk, bounce houses, a haunted hallway and plenty of carnival-type activities. The event happens inside the school gym so the fun happens rain or shine! Join the families of North Orange Baptist Church for an indoor Halloween trunk-or-treat. Hot dogs, cotton candy, popcorn, games, inflatables and more can be expected at this annual event. Come one, come all to the 8th Annual Trunk-n-Treat held by St. Henry Catholic Church. There will be plenty of “trunk-or-treating” along with face painting, games, a bounce house and even a haunted house (inside the church’s activity building). Hot dogs, popcorn and lemonade will be provided for all hungry trick-or-treaters. Just east of Beaumont in Vidor, kids can enjoy a safe night of Halloween fun with face painting, thumbprint art, bowling, duck pond, games, and of course.....candy! Every year PFBC sponsors a Fall Festival for area children on October 31st that is open to the public. Join us in the North Parking Lot for Trunk or Treat with free hot dogs, candy, games, train rides and lots of fun! Throughout Orange County are plenty of neighborhoods ready to welcome trick-or-treaters. While there aren’t sidewalks for kids to walk house-to-house, there are sidewalks leading trick-or-treaters up to each front door. Little Cypress: North of I-10 just past the LCM Junior High School and off FM 1130, you’ll find several well-established neighborhoods ideal for trick-or-treating including: Chasse Ridge, Bear Trails, Steeple Chasse & Chasse Hollow. Other great areas include the neighborhoods off Dawnwood (off Hwy 87, near Lorna Badon School of Dance) and Hillbrook Estates (off MLK, near Community Christian School). Bridge City: In the Bridge City area trick-or-treating can be found in Waterwood Estates (off Hwy 62/73), Dishon Plantations (off Idylwood, behind the Bridge City High School) and Colonial Estates (off 1442/Roundbunch, near Bridge Point Fellowship). Plenty of other densely populated neighborhoods can also be found off Hwy 87/Texas Avenue and 1442/Roundbunch. Orangefield: Those located in Orangefield can enjoy trick-or-treating through neighborhoods with easily accessible front doors. A couple of locations we recommend are Langham Estates (off Hwy 105, west of 1442) and Twin Lakes Estates (off Hwy 105, east of 1442). Join the families of Journey Community Church in Lumberton for free Halloween fun including candy, games and more! Food will be available for sale. The 13th Annual Harvest Carnival at Gateway Church in Kountze features plenty of free Halloween fun for kids. Your kids can enjoy inflatable jump house, slides, games, and candy. Door prizes and plenty of food can also be expected.